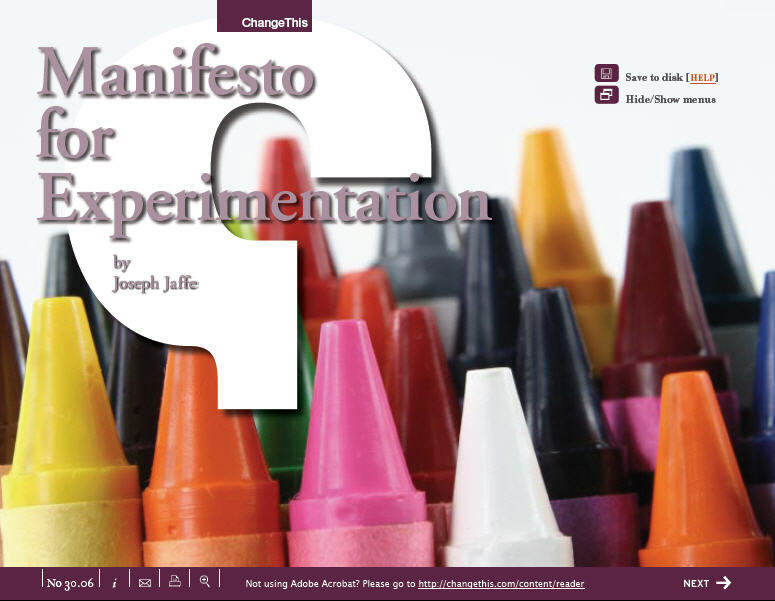 I'm thrilled to share my Manifesto for Experimentation, which was released today and published by Change This. For those of you who don't know about Change This, shame on you. It's just the most unbelievable repository of passion, vision and thought leadership and for these 3 reasons, it was an honor to be able to contribute. I want to thank the folks over at Change This for the job they did in terms of the art and creative direction...as well as for the opportunity. 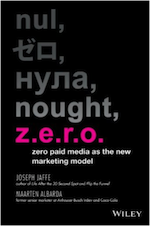 Take a gander, download the manifesto, pass it along, spread the word and CHANGE the status quo...by embracing a culture and methodology of experimentation, risk taking, constant learning and new marketing.